Medline Standard Crepe Exam Table Paper unrolls evenly to cover an exam table providing a clean and protected exam table for each patient. Paper rolls are an important hospital supply because it adds a protective barrier needed at high trafficked areas in hospitals or clinics. The medical exam table paper properly fits the width of the exam table and is cut to length of the table. 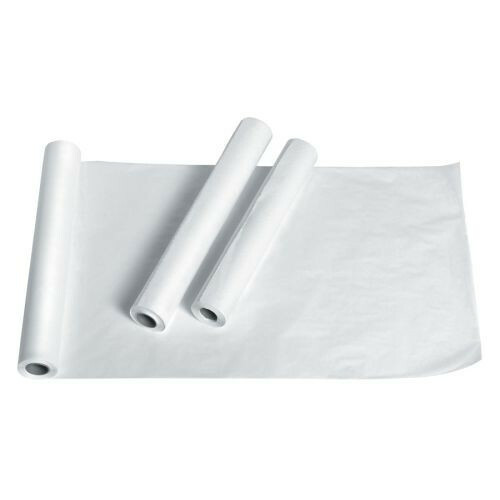 The 21 inch x 125 foot roll is made with a crepe finish that's known for its soft and absorbent properties to pick up dirt, moisture and oils from the patient's skin or clothing. Crepe is also quieter than smooth exam paper when you want a quieter, less obtrusive sound each time a patient sits on top of the table for the examination. Following the exam, simply discard the paper for easy cleanup so you can be ready for the next patient. Standard Crepe Exam Table Paper is also an environmentally-friendly product, made from 100 percent recycled pulp. 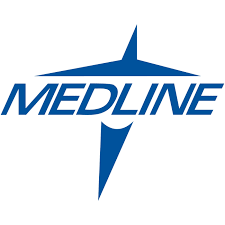 Medline ensures a quality product and each roll is mechanically metered to guarantee length. The Each roll is individually bagged to maintain a clean product until it's ready for use. Try out a single roll today or purchase a case of 12 rolls to keep your clinic stocked. Medline manufactures exam table paper rolls in an assortment of finishes. A Smooth exam table finish is a higher quality pulp for a whiter appearance and strength.